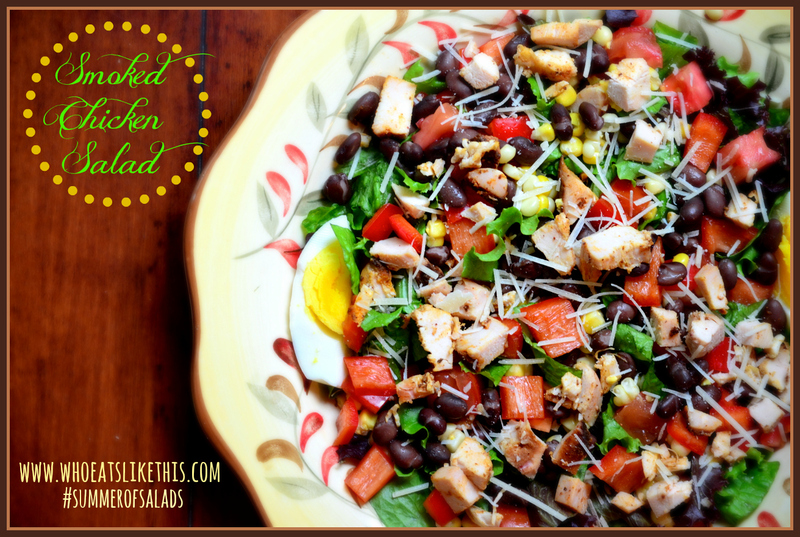 Summer of Salads, Chicken… – Who Eats Like This? Prior to getting my smoker, Smoked Chicken would be something I would rarely get the opportunity to enjoy, but when I did…oh, I did! So, this year when we picked up our portion of chickens from our friends in Hugo that raise & process them for us, I knew some of these little babies were going in the smoker! We had a friend over the night we made them, and I had smoked three chickens, planning for dinner that night and then making BBQ Chicken sandwiches for a family get together the next day. This friend, whom I treasure, loved the Chicken SO much I was worried he’d eat it all and I wouldn’t have any left for the next day’s festivities! So awesome! One thing I love to do when smoking or even baking my chicken, is to brine it the day before. It helps to make the chicken much more tender and delicious! 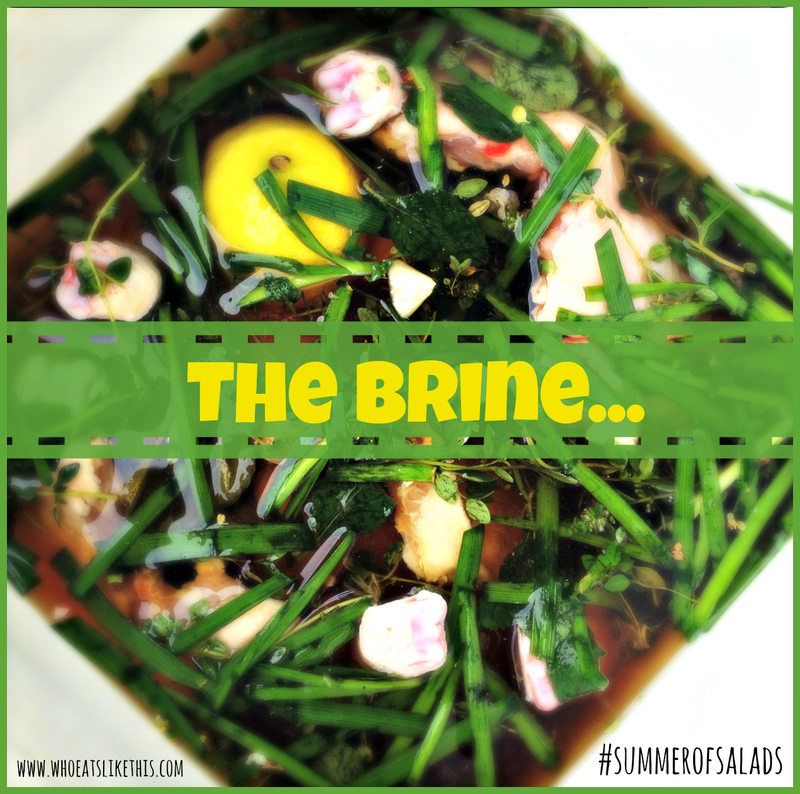 The friend that does our chickens for us, shared the following brine recipe I highly recommend! Makes one gallon of brine. Use a bucket or container large enough to hold the chicken and the brining liquid. I actually used a pickle bucket for my three chickens, but if you have a large pasta pot, or even a roasting pan, you can use that too. Just be sure to get most of the chicken submerged for most of the time. If you need to go in and move the chicken around, that’s okay too. Keep your chicken refrigerated & in the brine for 24 hours before cooking if possible. Once you are ready to cook the chicken, rinse it well under cold water and then add your rub or other seasonings. Dispose of the brining liquid and clean your hands, counter & etc. well! 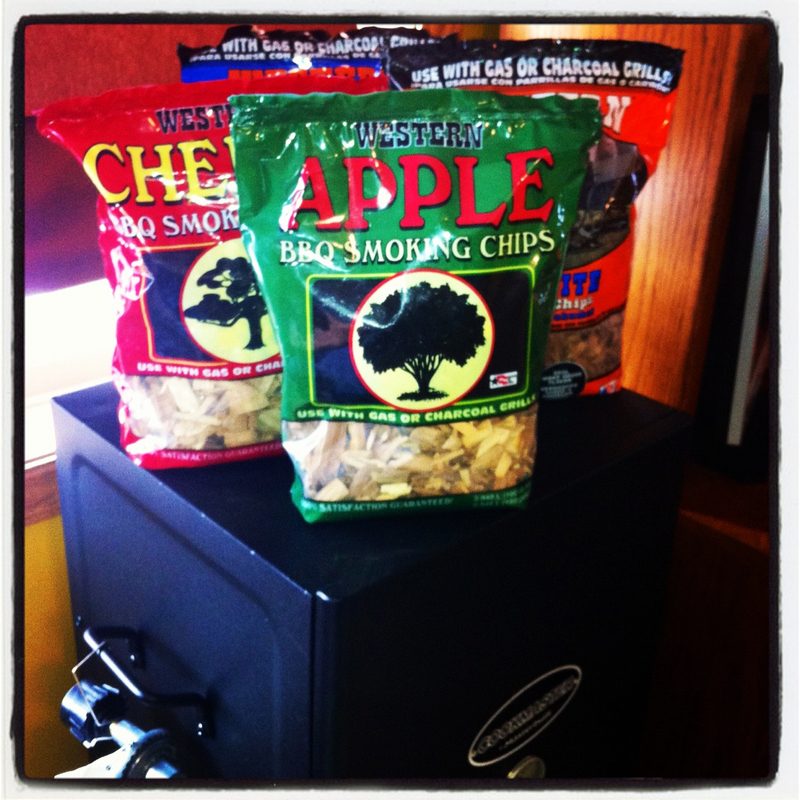 These WESTERN® BBQ Smoking Chips were what I used initially and I really liked them. They come in a wide range of ‘flavors’. I bought this Variety Pack my first time out. 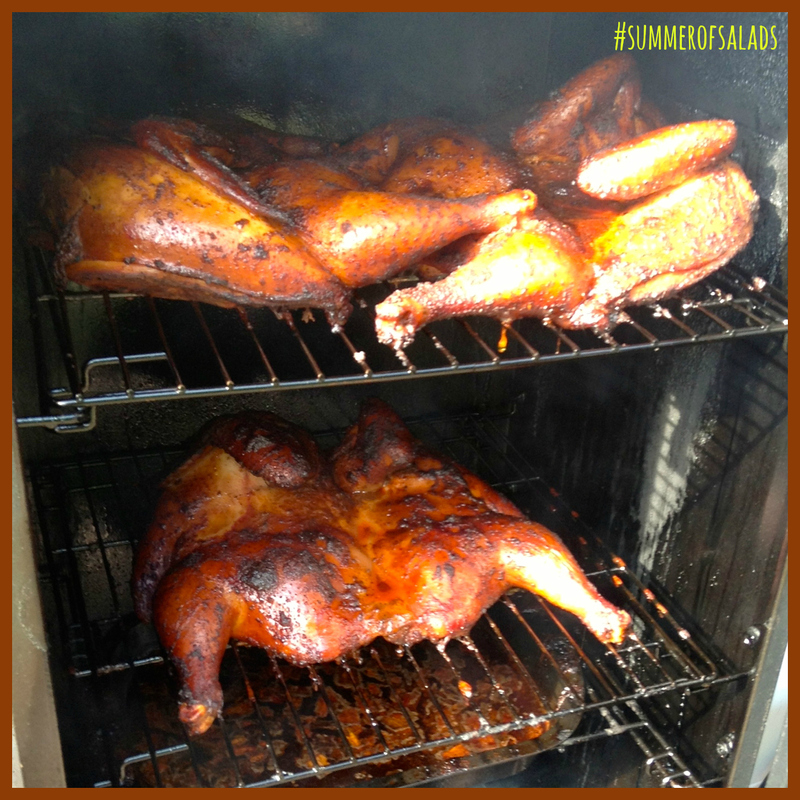 Okay, so I know this post is titled Smoked Chicken, and I realize that not everyone has a smoker. So, I want to show you a couple of ways you can smoke, without the smoker! First, I have this Mini Smoker Box from Williams Sonoma and I love to use it on my grill! It holds a small portion of whatever chips you have, and takes about 5-10 minutes to start smoking, but it works great for steaks, fish, vegetables, burgers & other deliciuosness from your grill! And, oh my gosh, I totally want this Cast Iron Smoke & Sear Station wouldn’t that be fun! 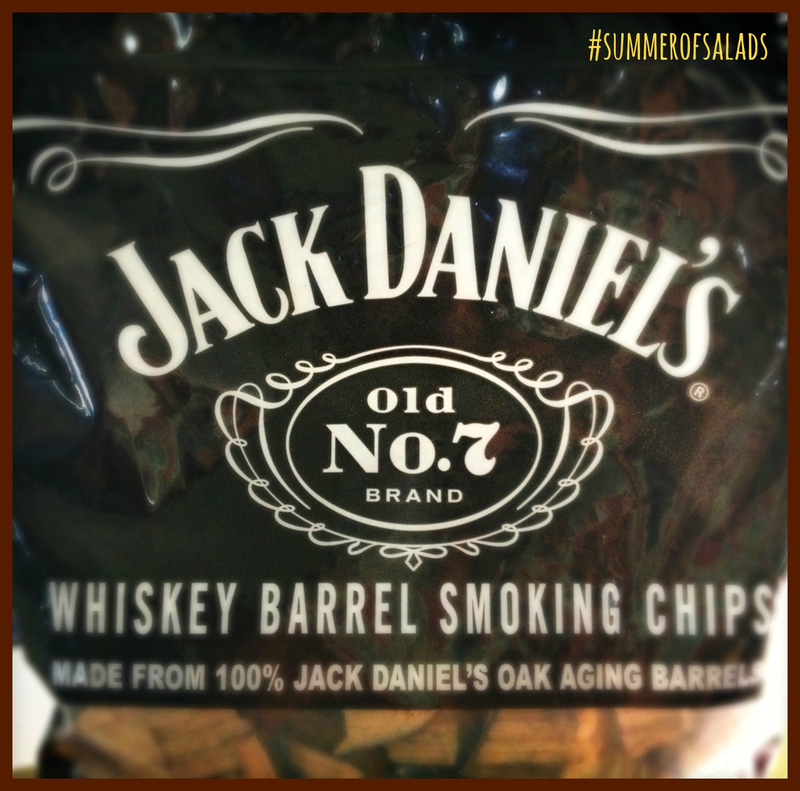 When I first bought my Western chips, variety box, it had a small smoker tray in it, made specifically for grills. They have a great video you can watch that shows you how to use the chips here. And if you don’t want to fuss with any of the above, you can also try using a couple layers of aluminum foil. The chips may burn up faster, so have a couple back up packs on reserve. If you are using a smoker, you’ll want to soak the chips before using them, but if you are just using them on the grill, you don’t need to soak them, unless you are grilling something that takes awhile to cook. 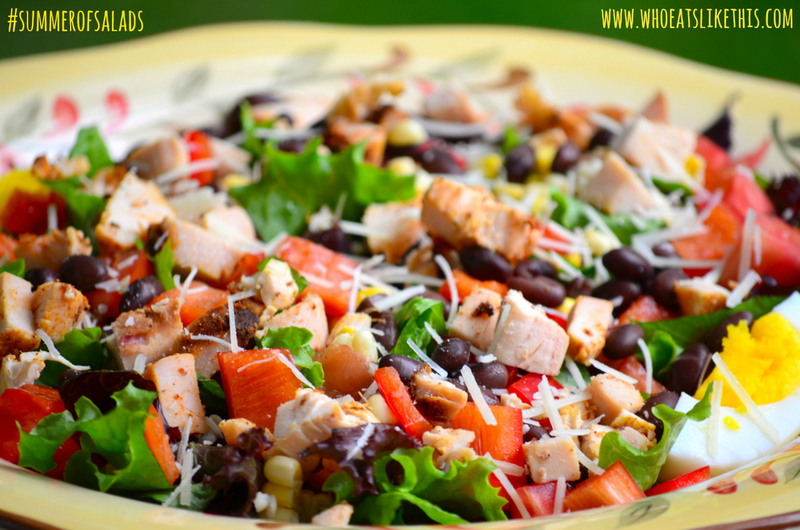 So for this salad, you’ll want to gather your favorite greens, and then chop up your Smoked Chicken. I added Black Beans, fresh roasted Corn-cut from the cob, chopped tomatoes, red bell pepper, hard boiled eggs and finished the salad with a small sprinkling of Parmesan cheese & crumbled Blue Cheese! (have I mentioned I am a cheese-addict?) Be careful how much Blue Cheese you put on; you don’t want to drown out that smokey Chicken goodness! 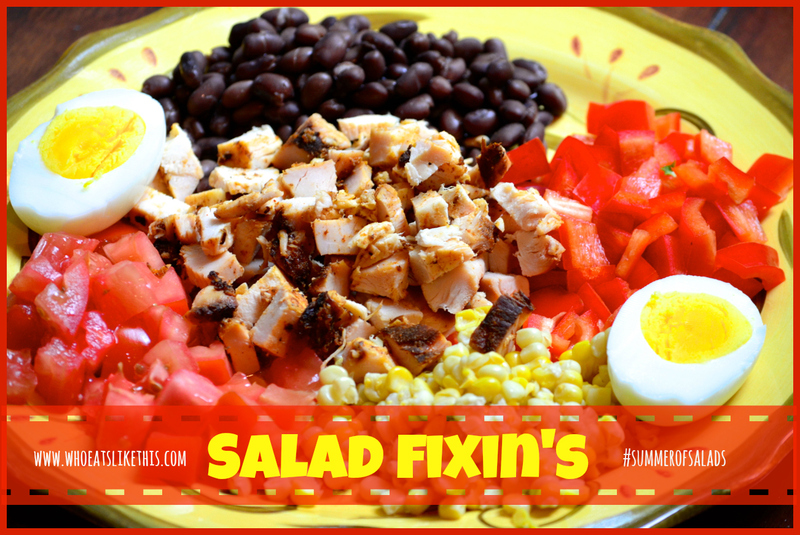 Add any combination of “salad fixin’s” you like! It’s your salad silly! Now look at that beauty! I hope you’ll try some of my suggestions for “smoking” chicken on your grill soon! Let me know if you do & share what you tried! 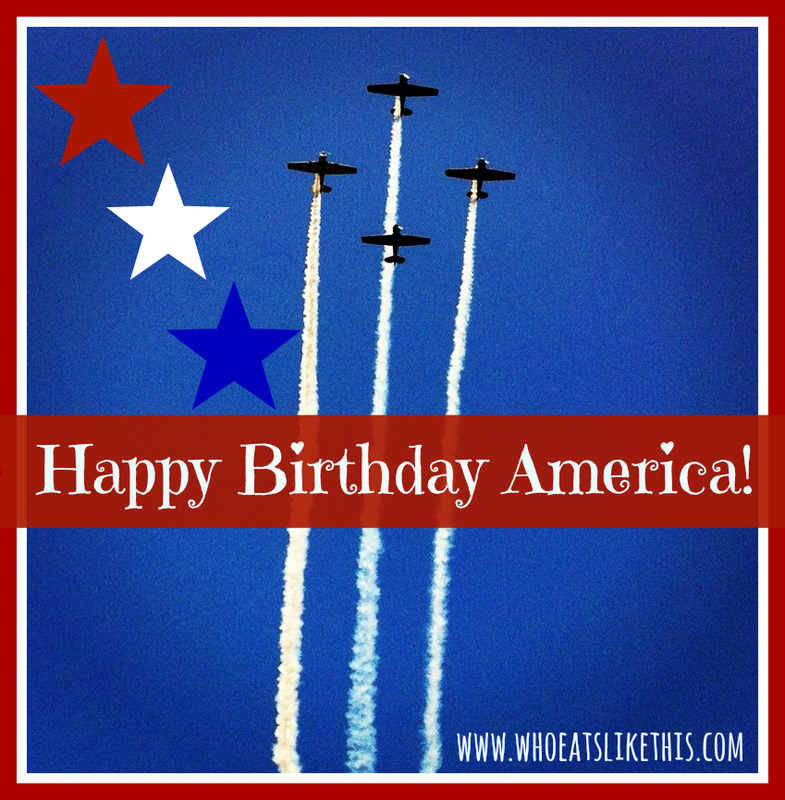 Have a wonderful 4th of July & Happy Birthday America!